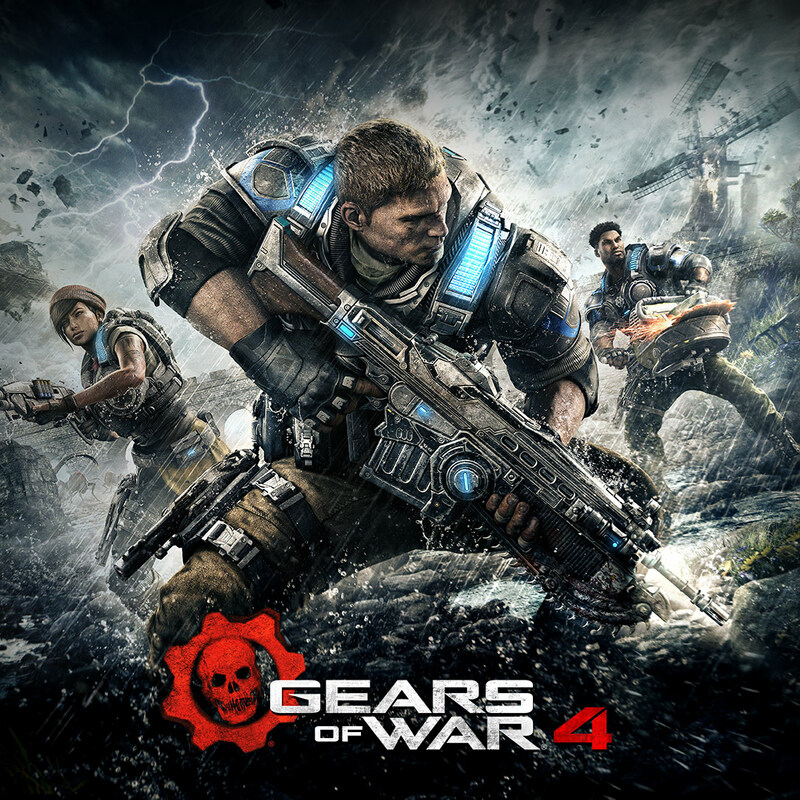 Team up with four others, choose your combat class, level up your skills, and deploy fortifications as you battle 50 waves of chaos. 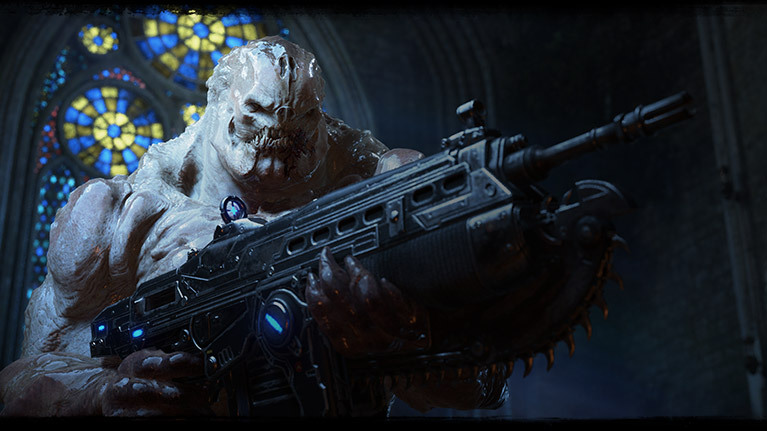 Nine different intense and accessible multiplayer gametypes reward social, competitive and professional players alike, all at 60fps on dedicated servers. 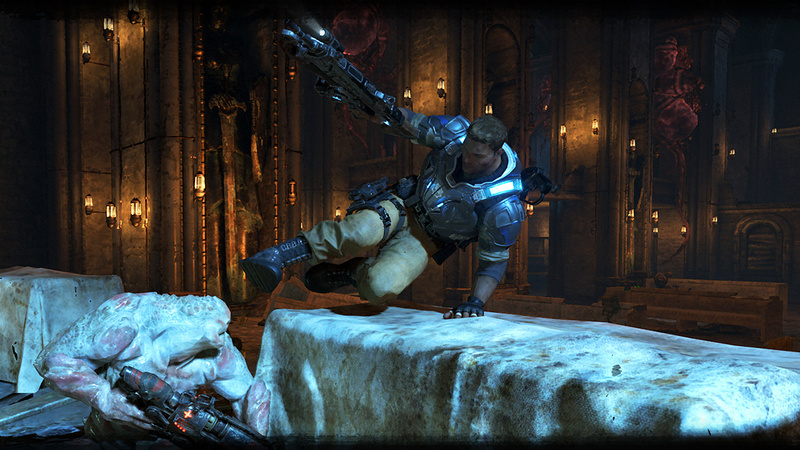 Enjoy two-player co-op campaign with friends locally via split-screen or over Xbox live. Player 2 can select either Kait or Del. If an enemy enters your cover on the opposite side from you, you can attempt to yank them over. If you land it successfully, you’ll be able to stake your claim to that cover with a gory knife execution. The vault is a way to traverse cover fluidly while maintaining momentum, allowing you to vault over cover and continue your roadie run. 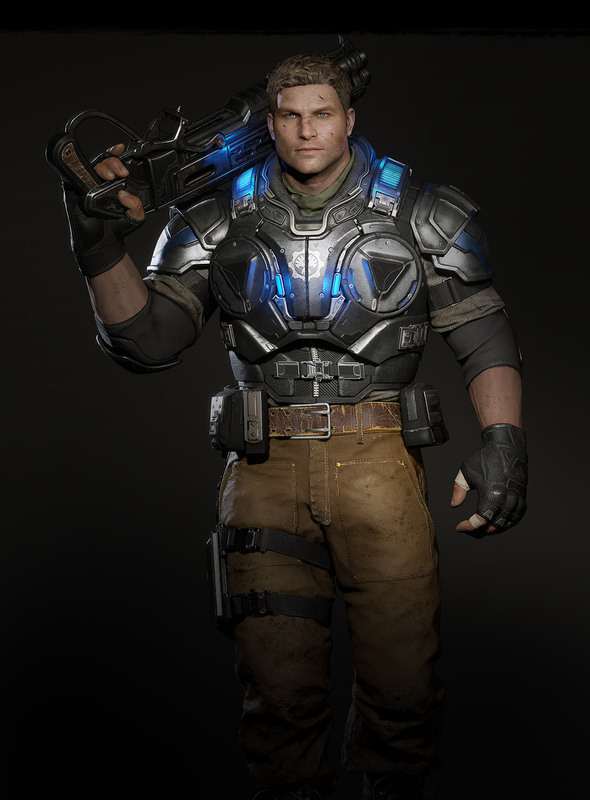 JD Fenix is a former lieutenant in the cog who went AWOL with his comrade and best friend, del, after being caught up in a classified military “incident.” The son of Marcus Fenix, JD is an idealist who wants to live his life with purpose. He and del have found sanctuary among outsiders whom they saved from cog reprisals, and, like them, now reject the oppressive government they once served. 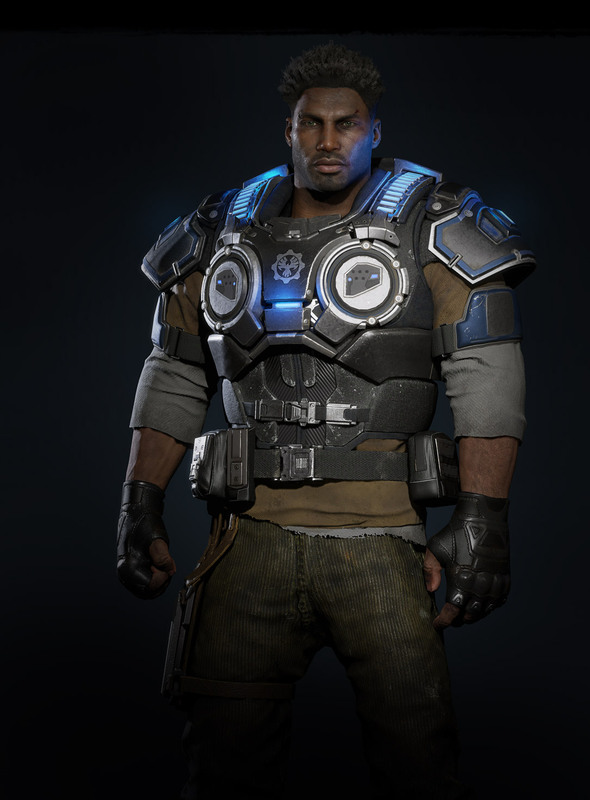 Del, a former operative in a cog special forces unit, went AWOL with his comrade and best friend, JD Fenix, after their involvement in a classified military “incident.” An orphan who befriended JD at boarding school, Del currently lives in an outsider village, where he and JD have become close friends with Kait, the daughter of the village leader. Kait Diaz is an outsider – a group that fervently rejects the dictatorial new cog that emerged from the ashes of the locust war. Her mother, Reyna, is the leader of her village. 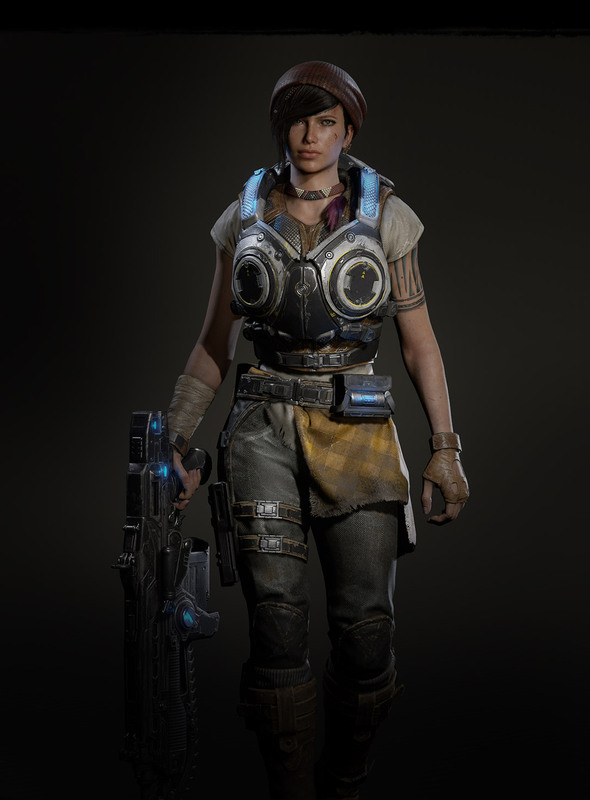 Extremely smart and capable, Kait has extensive knowledge of living off the land, the geography of the uncharted wilds, and how best to avoid the omnipresent cog security cameras. The juvie is a fast-moving, agile enemy that emerges from swarm pods. Almost always, juvies attack in groups, and in singularly unrelenting fashion. 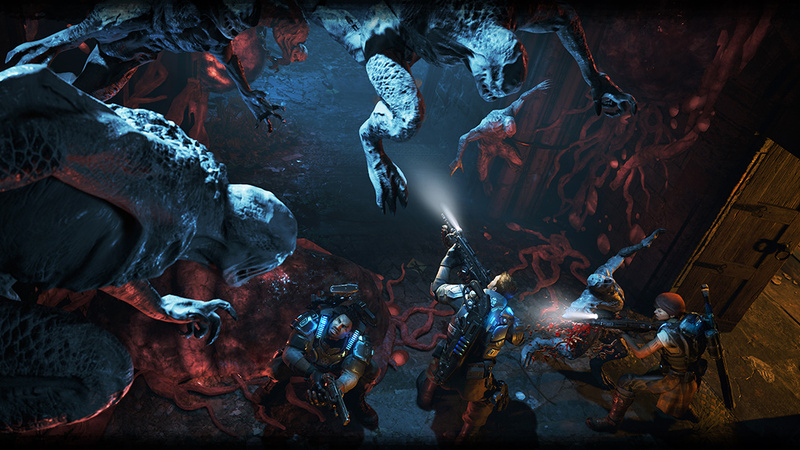 You’ll learn to fear their guttural call -- a telltale sign that reinforcements are incoming. Intelligent, cruel, and unfeeling, the drone is the swarm army's highly capable foot soldier. Stronger and bigger than humans, but capable of using the same weapons, drones can turn the tide of any battle they become part of. The Pouncer is deadly at every range. Back away, and its fan-like tail launches deadly quills. Close the distance, and it pounces pinning its unsuspecting prey to the ground. 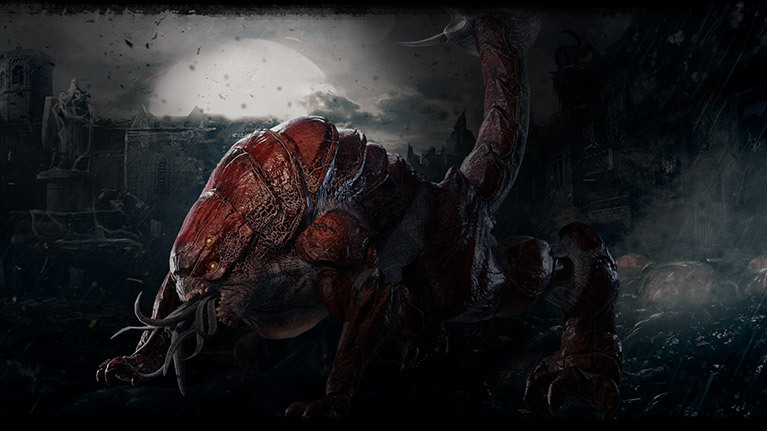 This devastating new enemy is the vicious attack dog of the swarm. 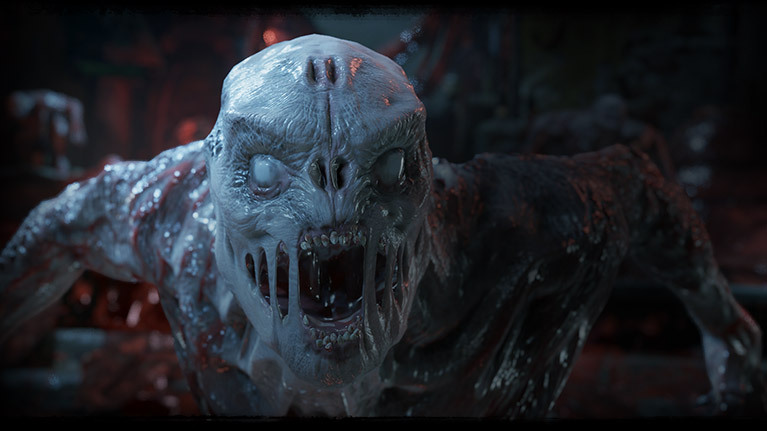 Play Gears of War 4 and over 100 more great games for one low monthly price with Xbox Game Pass. 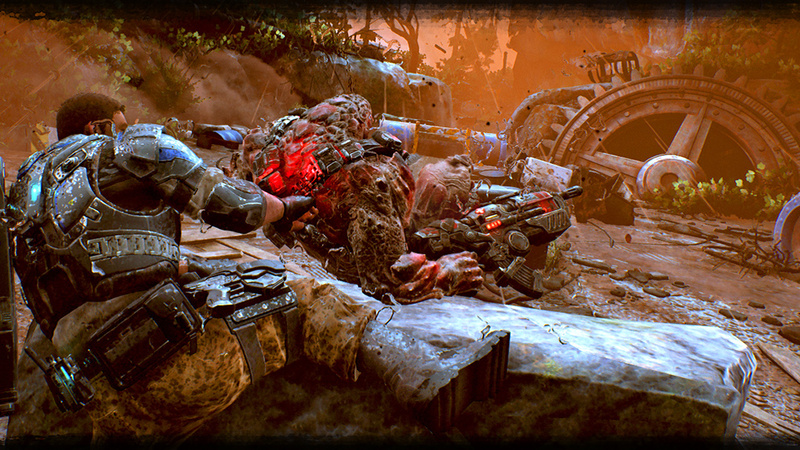 Never Fight Alone: Enjoy two-player co-op campaign with friends locally via split-screen or over Xbox Live. Player 2 can select either Kait or Del. 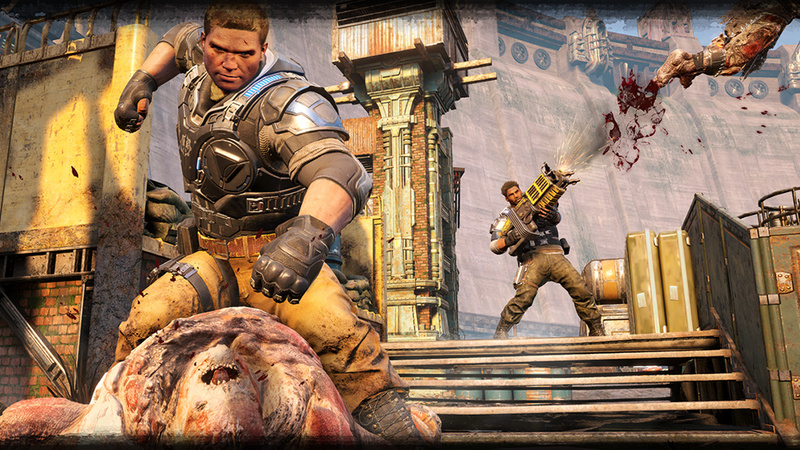 Horde is Back: Team up with four others and battle wave after wave of increasingly difficult enemies. 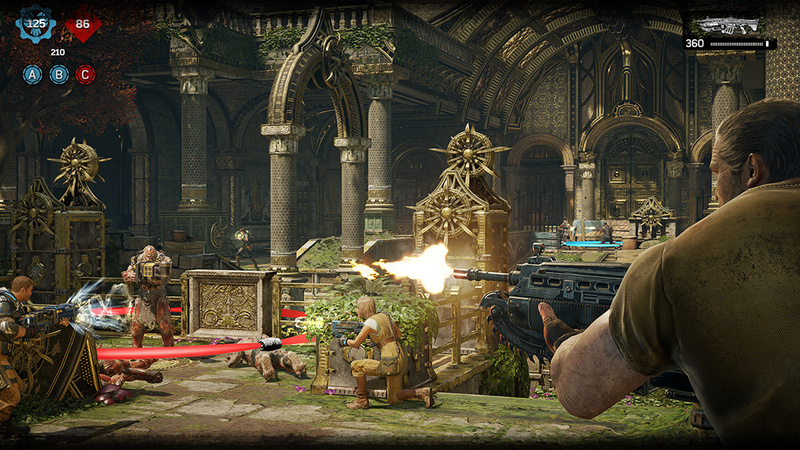 Choose your combat class, level up your skills and deploy fortifications anywhere on the map to survive. Brutal New Weapons: An incredible arsenal of new weapons includes the Buzzkill and Dropshot, which can shoot around and over cover to rain destruction from all angles. Refined Cover Gameplay: New close-cover combat moves and combat-knife executions turn each piece of cover into an offensive opportunity.